Recently, there has been a move by several faith-based film companies to market its films to be something it isn’t. I picked up on the trend last winter and noticed that during this pre-Easter period several more have released films under the guise of something other than what the actual story is about. The first time I noticed the trend was with a DVD release. The film was promoted as a redemptive story, but it wasn’t. Before I explain further, let me clarify that in the religious marketplace there are four categories of films: Christian; Faith-based; Religious; and, Redemptive. These categories were created by Hollywood to clarify the differences between the types of films within the niche market. The list is in order of revenue potential. Studios will tell you that Christian films make the least amount of money and the investors must understand they are giving to a cause, as most of the films will never generate a return on investment. Redemptive films, on the other hand, can make anywhere from $40MM – $300+MM and generate enough profit to fund up to eight additional films by Hollywood budget standards. The faith-based films generate $3MM – $60MM with 80% of the films closer to the $3MM mark and typically receive a follow up contract for the next film that the team desires to make. Religious films tend to generate $3MM – $60MM with 80% of the films closer to the mid $40MM range. The first film I saw promoting itself as something it wasn’t, was a Christian film promoted as a redemptive story. The film flopped and the producers wondered why, since it was a “redemptive” story. The answer was simple – Stories aren’t redemptive just because you say it is. 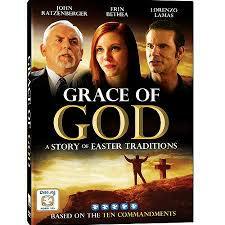 I recently received a DVD of “Grace of God: A Story of Easter Tradition,” to review. The front cover showed its stars, John Ratzenberger, Erin Bethea, and Lorenzo Lamas. I was excited to watch the film with such a great cast. Unfortunately, I was sorely disappointed. You see, the film had nothing to do with any Easter tradition that I’m familiar with. Nor did it demonstrate God’s grace, although it was inferred. But the kicker was how little time the three big stars were in the picture. In fact, the two unnamed stars spent the majority of the picture on screen and the three power hitters spent less than 10% of the story time on screen. Was this a bait and switch? Or, worse yet, a breaking of the advertising code of ethics based on the federal law about truth in advertising? Probably not. The three on the cover were probably promoted due to contractual agreements, but why wouldn’t you add on the two stars for the sake of truth in advertising? Then I saw the biggest marketing guffaw of all. 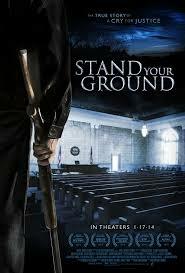 “Stand Your Ground,” released to DVD with a completely opposite marketing campaign than what it used during its theatrical release. The pre-release title was “A Cry for Justice,” based on the book by the same name. It was a dark story about a mother who stood by her wrongfully arrested son as he fought for his freedom over a significant period of time. 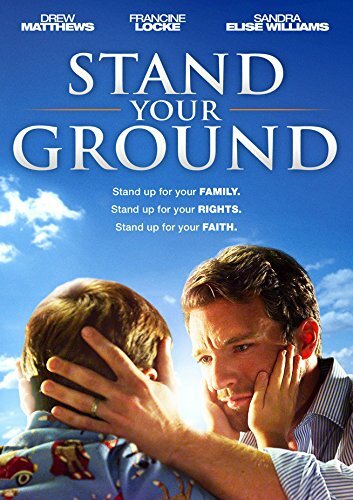 Since the son’s freedom was based on the “Stand Your Ground” laws, and since those laws were making the news just before the initially planned theatrical release, the film was retitled. The new title contrasted the Hollywood mantra about gun control and was not picked up by the studios. However, the picture was four-walled in theaters for a few weeks. Then the DVD was promoted with a completely opposite tone, spinning the look and feel of the movie to be something it wasn’t. In fact, I don’t even remember seeing a little boy in the movie with his father, but if he’s there, it was on the screen for such a short duration that it didn’t even register with me. “Little Boy” is another film that released a promotional trailer that I’m told has nothing to do with the actual movie. The curiosity stimulated within the audience by the trailer never gets paid off in the film. In fact, I have one friend who was disappointed that the film was nothing like what he went to the theater expecting to see. Although, he said the film had a great ending, just not the one that was set up by the trailer. The bad news is that I can mention almost a dozen more faith-based films that are being promoted to be something it’s not. This new process that is embraced by multiple companies can only hurt the niche market, as no one will believe what the next film is supposed to really be about. So, it begs the question – Why are faith-based companies participating in such deceitful marketing techniques? Are they ignorant? Do they blindly believe the films are about what’s being promoted? Or, is it because there are now so many faith-based films that the level of competition has raised the standards and those lagging behind can only keep up by pretending the stories are better or at least different than they are? Or, is it more basic than that…Did faith-based film leadership forget that they are mentors of the next generation and don’t care if their choices reflect the types of films they make? I don’t know what the answer is, but I no longer trust films being promoted as faith-based stories. I’d rather watch redemptive films like The Blindside, Les Miserables, Gravity, Captain America and American Sniper, especially since those films are marketed to be exactly what they are – Great redemptive stories. Yes, I have noticed this as well. And you want to know what the real answer is? The majority buyers of the Christian and faith-based product are middle-aged women. So if you are going to make a dark story in any genre, and thus the cover would naturally reflect this with more somber or edgy graphics, it will not sell as well as the DVD with the bright and cheerful cover with the boy. In a nutshell: it’s all about money. 😦 Disingenuous indeed. In support of your comment, I recently read that 95% of all faith-based video purchases are made by mothers. That being the case, as the movie is (was) about the mother’s story, one might think she and her journey would be featured more prominently. Francine, The original story was incredible and worth making into a film. However, the screenwriter and director made choices that strayed from the initial story. In fact, when I watched the film it seemed to be about three stories: the mother in the first third of the film; the son in the second third; and, the attorneys in the last third. It’s also my opinion that this film will one day be rebooted to look more like the original story, which would drive a lot of women to the theater and make them feel empowered. The original story reveals the awesome combination of a true life committed mother teaming with her God, against a broken system, to win her son’s freedom – A VERY powerful story. I at least hope the story is rebooted. I think you should watch this film again, and really watch and listen. Two of the most precious moments in this film involved the father and son. This movie is about the struggles that a mother faced, while her son was being accused, charged, and tried for murder. She experienced a crisis in her faith, and learned to live in Psalms 91, and after giving her struggle, and son, over to God, her faith was renewed. There were many who were touched by her journey. This is also about a man who came to be a Minister through this experience. I fail to see your point about this not being a faith based film. Is it because it dare showed violence? It dare showed what happens in real life, to place someone upon their journey to become closer to our Lord and Savior? Faith based films are not all sunshine and lollipops. What message does that send? If you’re a Christian, does that mean you won’t have struggles? Does it mean that you won’t be in a spiritual warfare, due to your decision to become a Christian? That your decision to follow Christ makes you exempt from all things evil? No. In fact, the road narrows greatly when you become a child of God, and spiritual warfare becomes a serious reality! That’s what Satan wants, is to derail your Christian faith! As long as you are a child of God, you’re a threat to the Evil one! The struggle is real, and bad things DO happen to good people. I do hope that you will watch this film again, with an open heart, and mind, along with open ears, and eyes. I pray that you can come to understand the message of this film, and see how a woman’s faith was not only tested, but how the intense struggle deepened her faith, and renewed her relationship with Christ. Faith based/Christian films need to show human conditions, and how we ALL encounter incredible trials and struggles, what happens when we stumble, and/or fall, and that we CAN get back up agsin, and turn it all around for good. Christianity isn’t supposed to always feel good! If it does, then you really need to check yourself closely, and evaluate your walk with Christ, and then discover what your Christianity is missing! Maybe I’VE misunderstood YOUR article…. I don’t know. I do know that marketing was out of any of “our” hands. Thank you for your comment. Your passion for the story is commendable. I only wish that my perspective was more clear. The motion picture industry has always tried to promote films with the same overriding tone and genre that the film predominately displays. The first two posters accomplished that goal well, but the latest DVD cover strays from displaying the intensity of the film. In fact, it shows the opposite, which in my mind misleads the audience. I see irony in a faith-based film about truth and justice, promoting the DVD with misleading promotions. I also see this trend happening in more than a dozen recent releases from multiple companies. While some might call it hypocrisy, I’m only attempting to bring it to the forefront within the film community so producers can make the choice to demonstrate more integrity. Thanks again for voicing your concerns.